With our new classrooms we are creating new classes designed to stimulate individual creative paths. We are so excited to announce that Angelique Tassistro is joining our staff and will be offering classes in her own style. She has been a friend of The Village Potters since our small beginnings in 2011, has taught two Master Series workshops, and has shared her approach to business and bookkeeping to our advanced students starting their own businesses in clay. 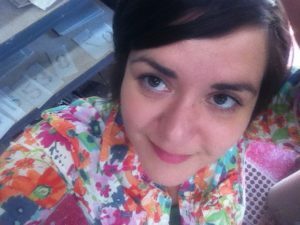 Angelique has a very engaged and personal approach to teaching that puts you at ease and gets you excited about your own ideas. If you are already taking classes, I highly recommend you get into one of hers. She is an accomplished hand-builder and makes delightful, functional pots. I have personally enjoyed my friendship with Angelique for the last 6 years and can say with confidence that if you take her class you will love it. So check it out on our website and get registered. She is the founder of Fly The Coop Studios. Angelique grew up in Baton Rouge, Louisiana and currently lives and works in Asheville, North Carolina. She received two BAs from Louisiana State University in 2000 in Ceramics and Photography. Her work is shown in the permanent collection at New Orleans Museum of Modern Art in New Orleans, Louisiana. In 2010 Angelique was selected to be one of The WNC Top 10 Emerging artist. 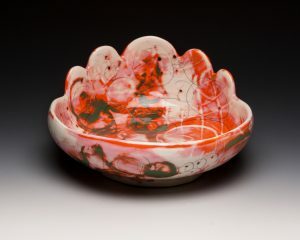 In 2011 Angelique was selected as one of Ceramic Monthly’s Top 15 National Emerging Clay Artist. 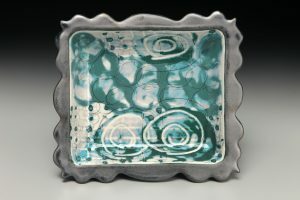 Tassistro is a rising star in the ceramic world, with profiles in publications from the Asheville Citizen-Times to The Laurel of Asheville, WNC Magazine, Home + Garden and has most recently featured in back to back issues of Clay Times for her unique glazing style. Angelique is the founder Fly Coop Studios. Her studio is open to the public and is located in the Asheville’s River Arts District at Curve Studios and Garden.